Twentieth Century Fox Consumer Products has selected Global Experience Specialists (GES) to develop and tour an interactive exhibition based on James Cameron's award winning film, Avatar. The global touring exhibition will bring the creatures and environments of the world of Pandora to life through a series of immersive and interactive displays. 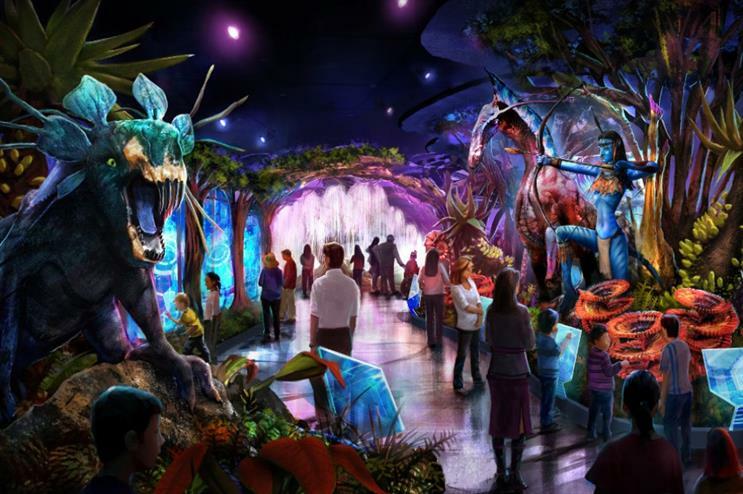 Key features of the 10,000 sq ft exhibition include a bioluminescent theatre, which will enable guests to experience a re-creation of Pandora at night, as well as a 45-minute guest engagement that enables them to explore the Na’vi – Pandora’s native inhabitants, as well as its diverse flora and fauna. Visitors will also be able to put on amplified mobility platform suits and physically experience Pandora. The exhibition will include more than a dozen hands-on, interactive components. Jeffrey Godsick, president of Twentieth Century Fox Consumer Products, said: "This unprecedented global exhibition will create a truly memorable experience for fans. "Bringing the world of Pandora to life and comparing it to the wonders of our own planet, the Avatar exhibition will bring together immersive new storytelling and science in a tangible, engaging forum." Eddie Newquist, chief creative officer and executive vice president of GES, added: "We have been long time fans of James Cameron’s visionary work and this is a unique opportunity to showcase Avatar to fans around the world. "We are thrilled to be able to provide visitors the opportunity to learn more about the wonders of Pandora through this exhibition." Fox and GES are working with James Cameron and Jon Landau’s Lightstorm Entertainment to create the exhibition. GES will design, produce and tour the Avatar exhibition to multiple global markets. It is expected to start in the Autumn, and tour dates will be released at a later date.